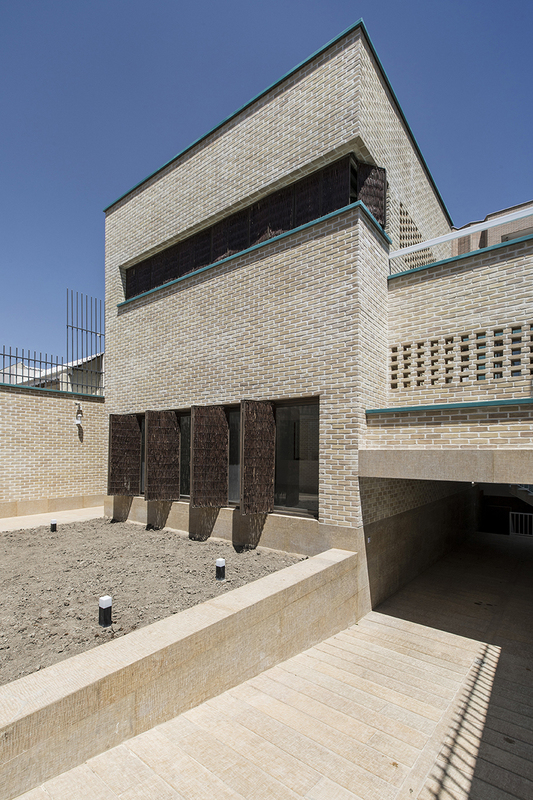 ancient and intricate, the architectural prowess of the middle eastern country continuously turns heads in the global creative community. 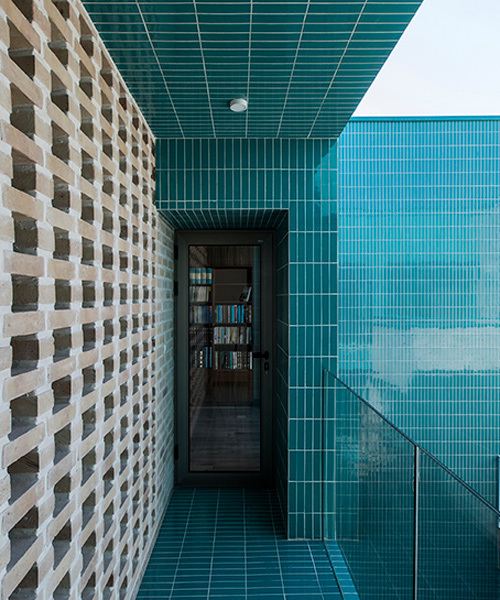 located in the iranian city of isfahan, the blue-yard house by ayeneh office recalls the historical and memorable colors of local architecture. 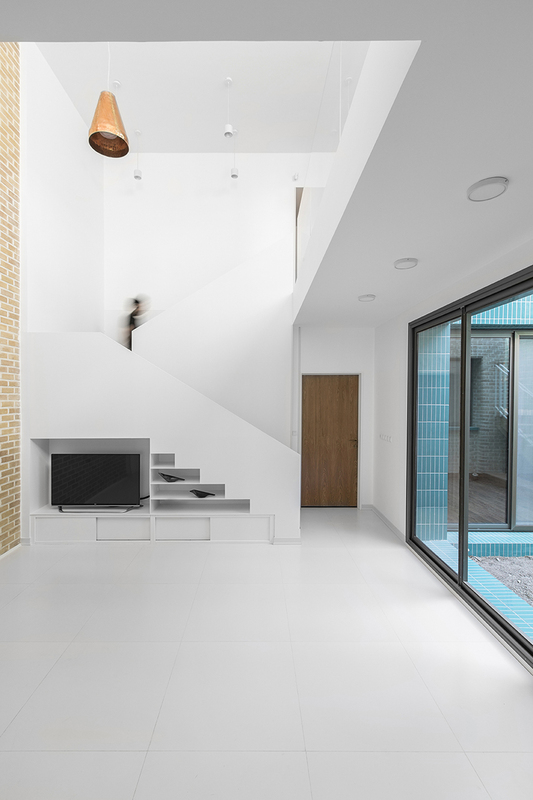 a central courtyard, typical of traditional houses in the area, provides the interior with enough south light, and allows access to the inner section of the house through the ground floor. 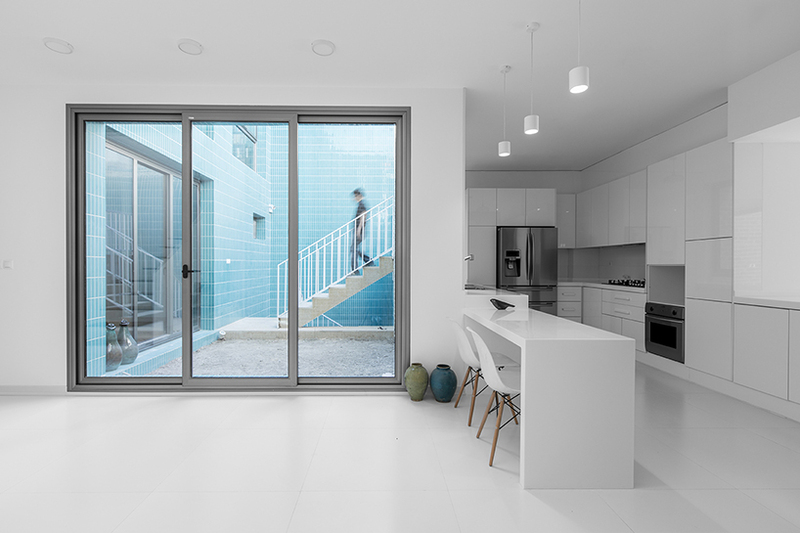 to make the blue yard reachable from the entrance, and to free the south side of the house, ayeneh office separated the volume from its neighbor, creating a gap where, at the end of it, and accessed through a number of stairs, lies the courtyard. 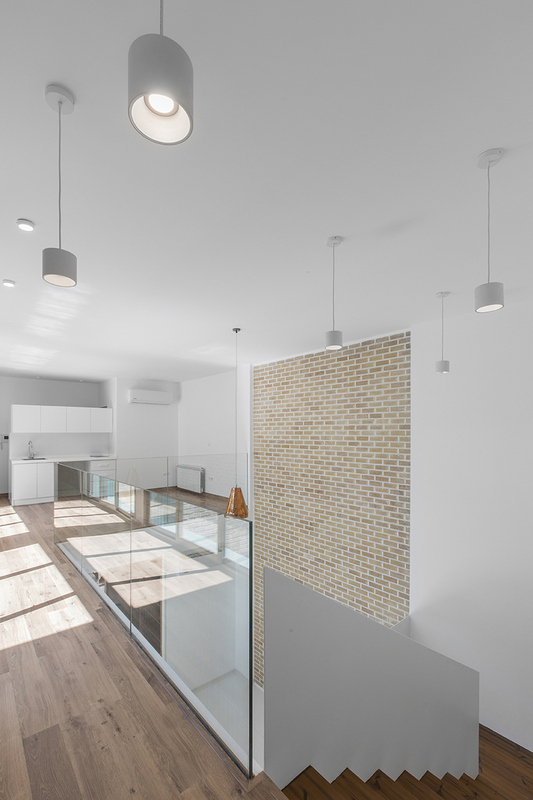 on the ground floor, on the west side overlooking the entrance, is the guest hall, while next to it sits the kitchen, the living room, and the master bedroom. 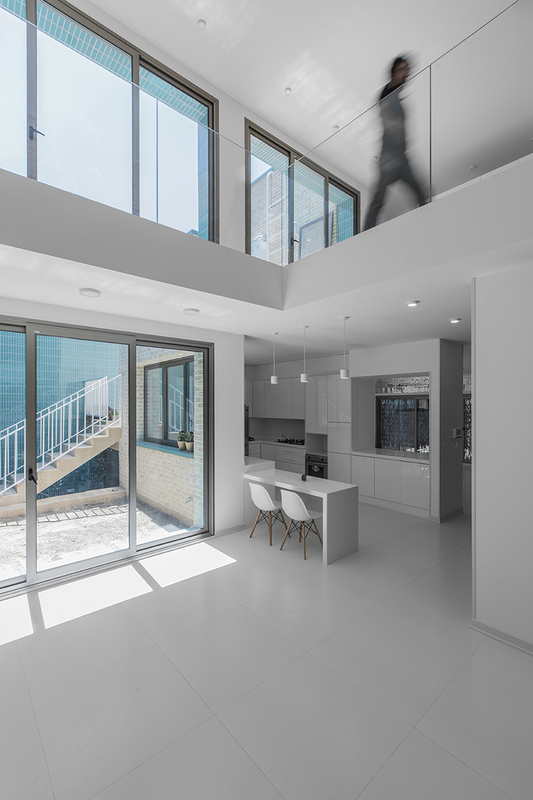 the library, the guest bedroom, and one of the children’s bedrooms on the upper floor benefit from view towards the blue yard. 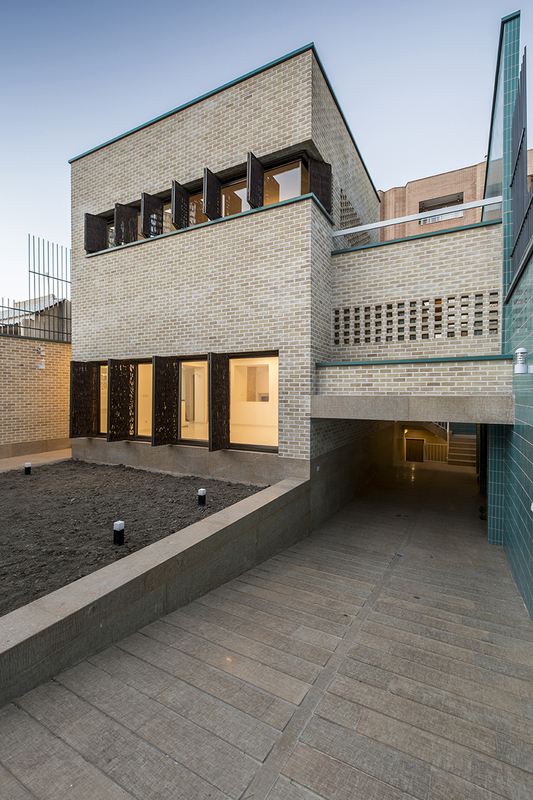 the double height living room, together with a smaller living room upstairs and the blue yard form the heart of the isfahani house in an ‘andaruni’ (private quarters) form. 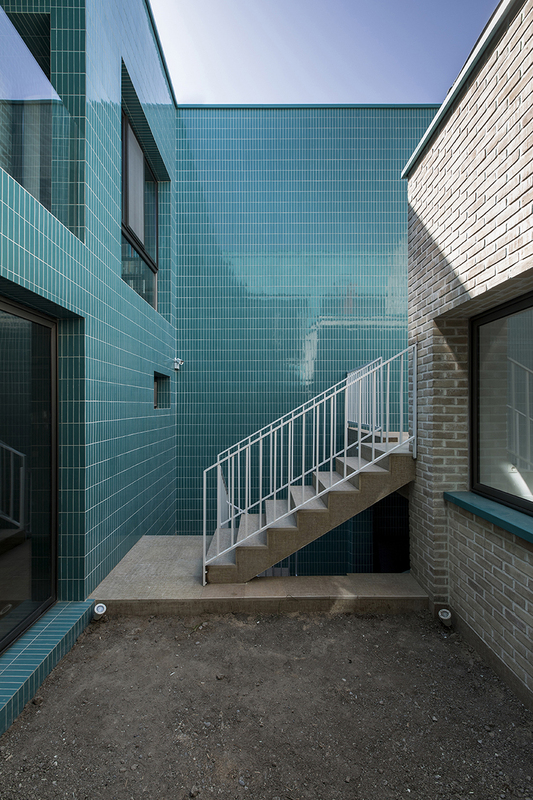 the blue tiles recall the historical and memorable color of the city. 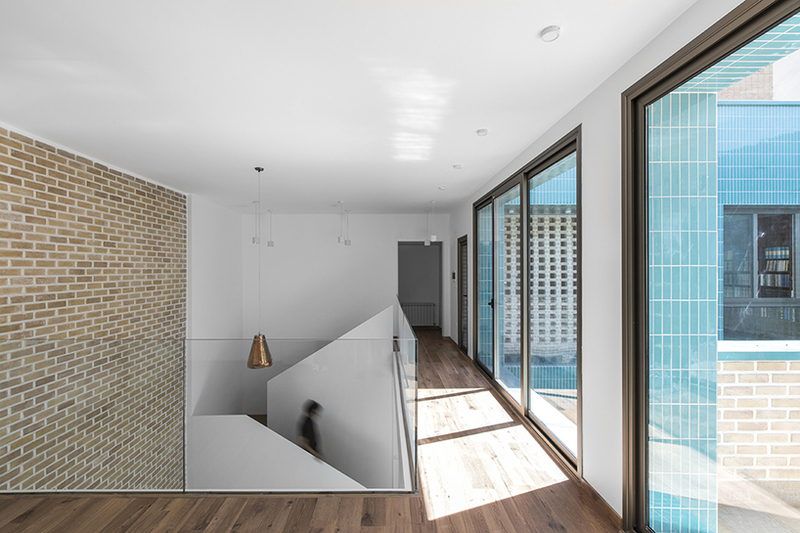 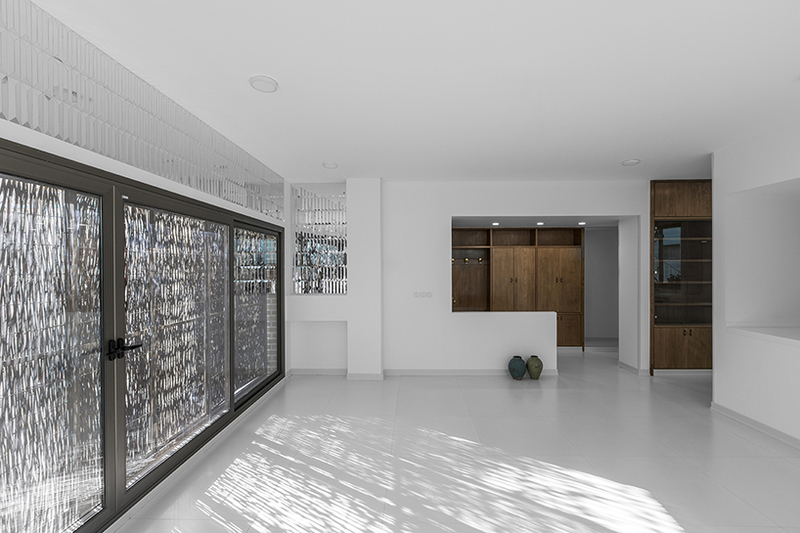 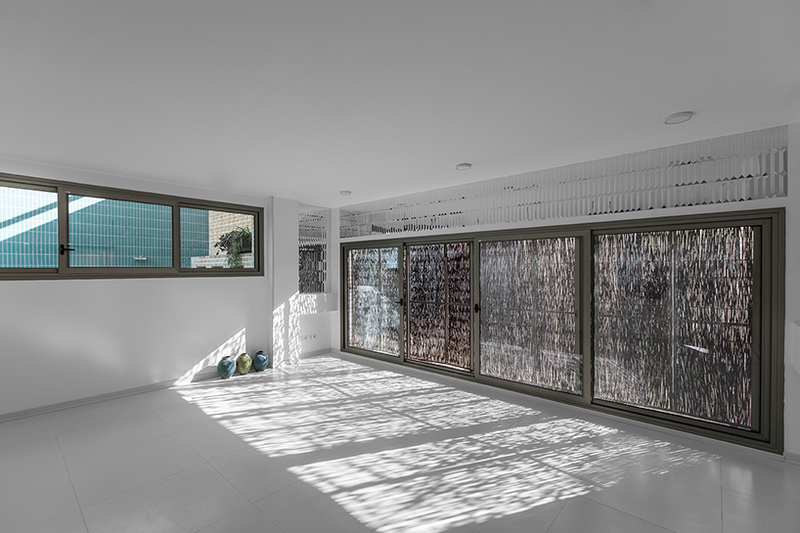 brick patterns and a woven wood screen adjust the intensity of the west sunlight.